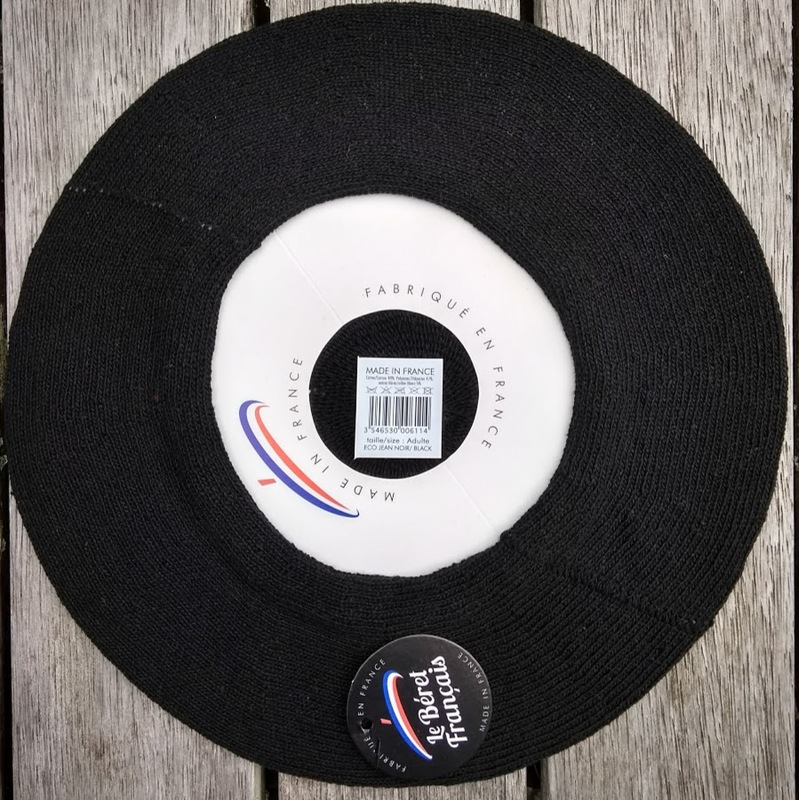 Le Béret Français is a 100% made in France label by some of the most dedicated people in the French beret industry, keen to keep the artisan way of Béarnaise beret making alive. 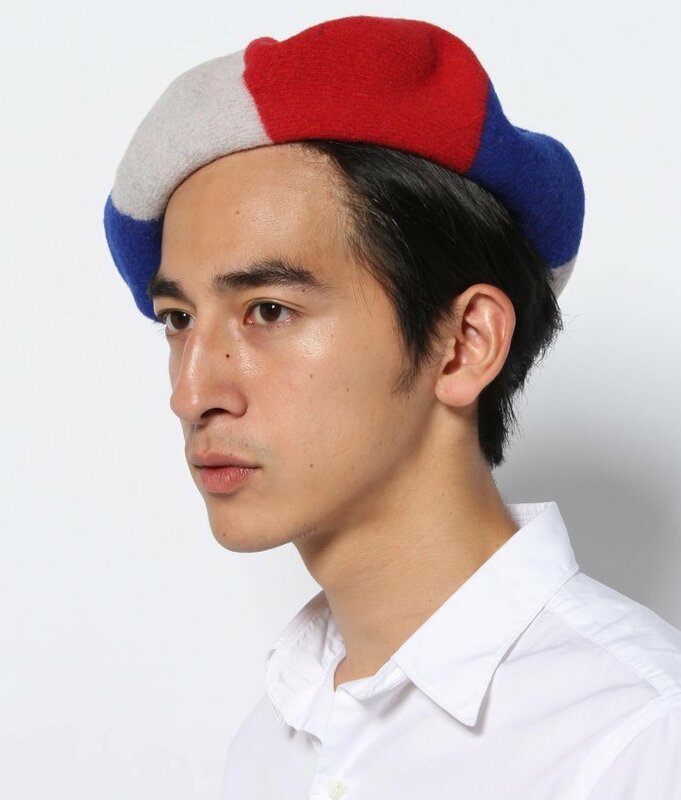 The company aims to ensure the beret is revived as the ultimate French fashion statement. 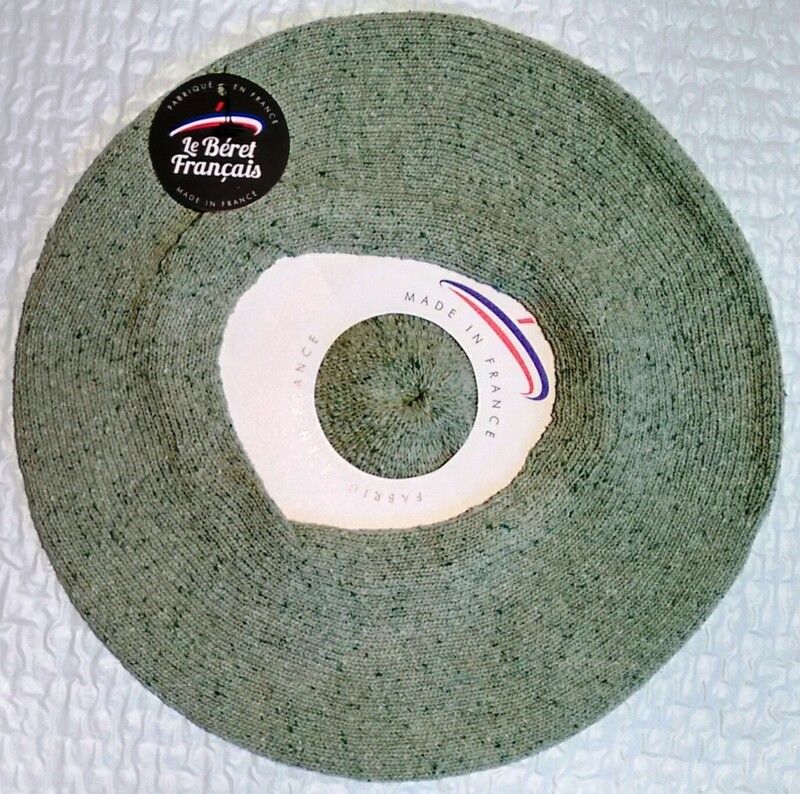 All materials and pieces are conceived, designed and produced exclusively in France. 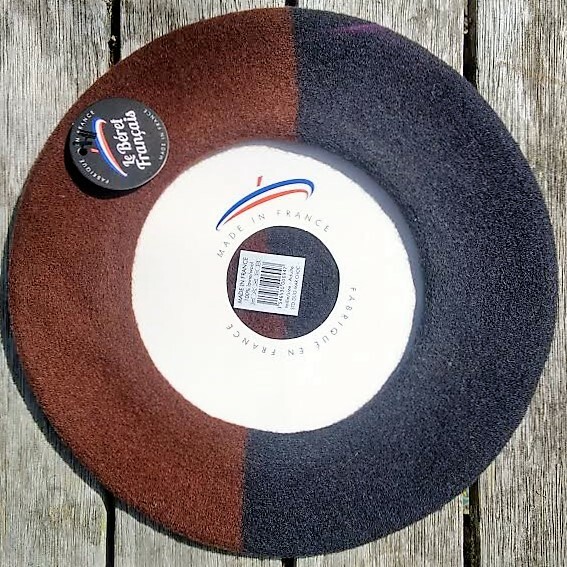 The beret collection is produced in Laàs, a charming little village in the Béarn (Pyrénées-Atlantiques). 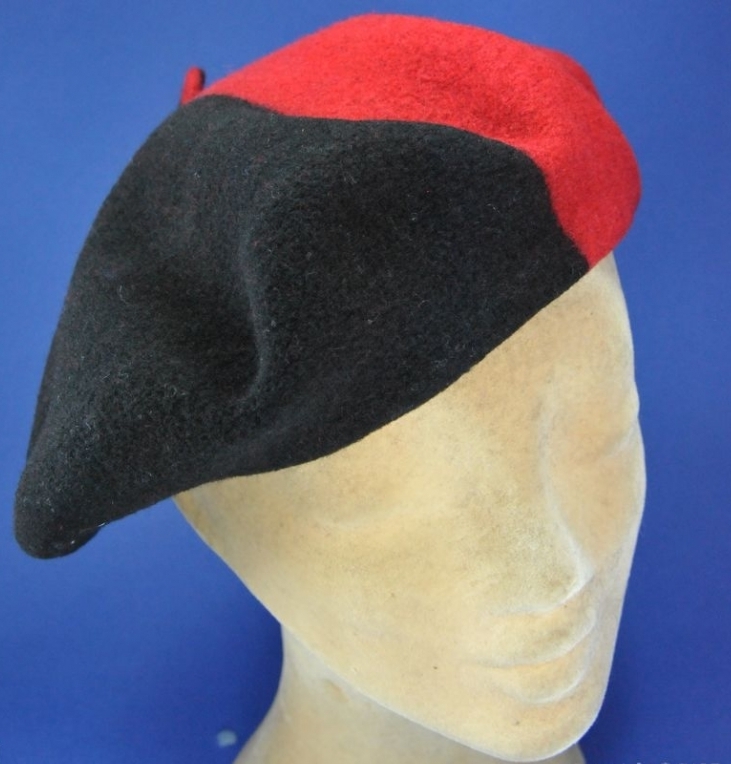 What's more, even the wool used for the berets is French, coming from French sheep in the Provence. 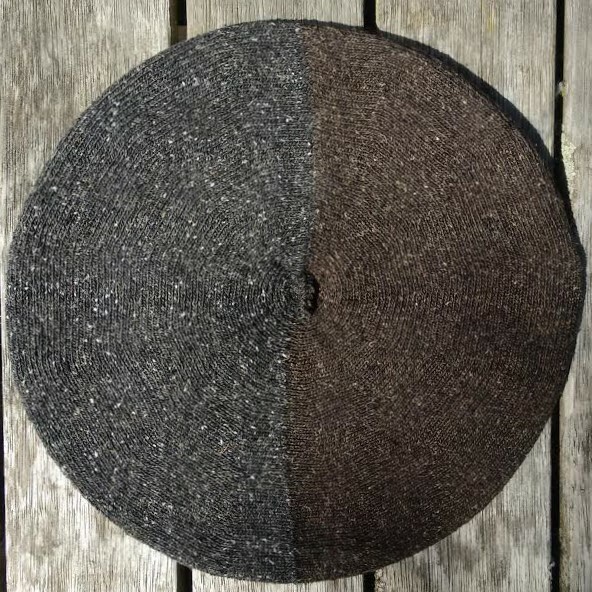 From the weaving of the wool fibres to the final assembly, all the steps are undertaken in their own production workshop. 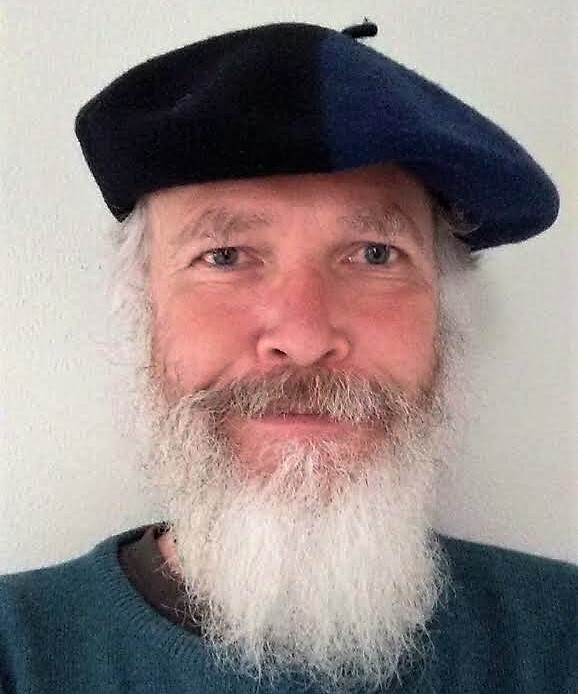 The Le Béret Français team is made up of people who are passionate about their region and their job. 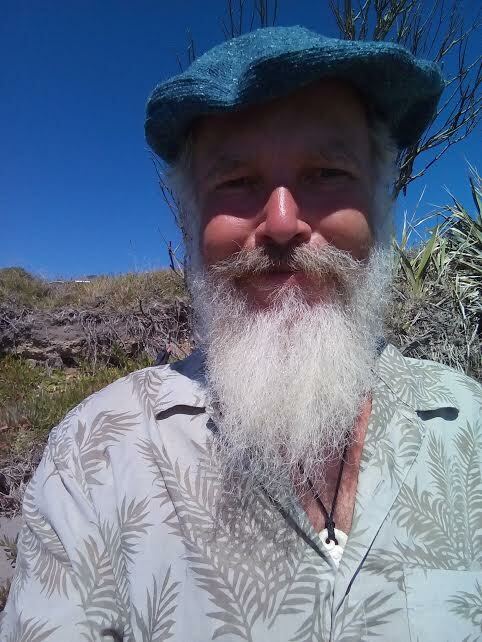 They benefit from a savoir-faire passed down from generation to generation. 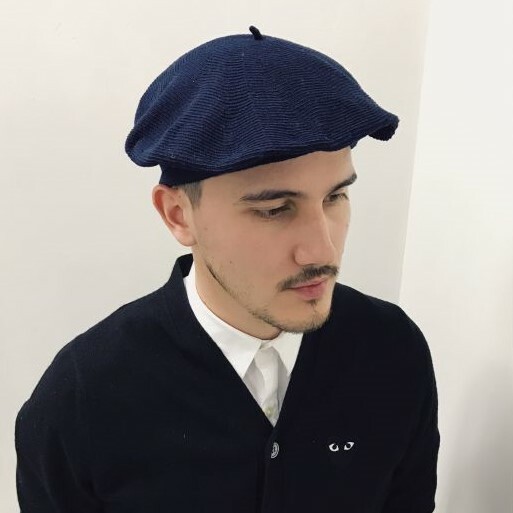 Proud of this heritage, Le Béret Français gives life to a new line of berets to accompany men and women. 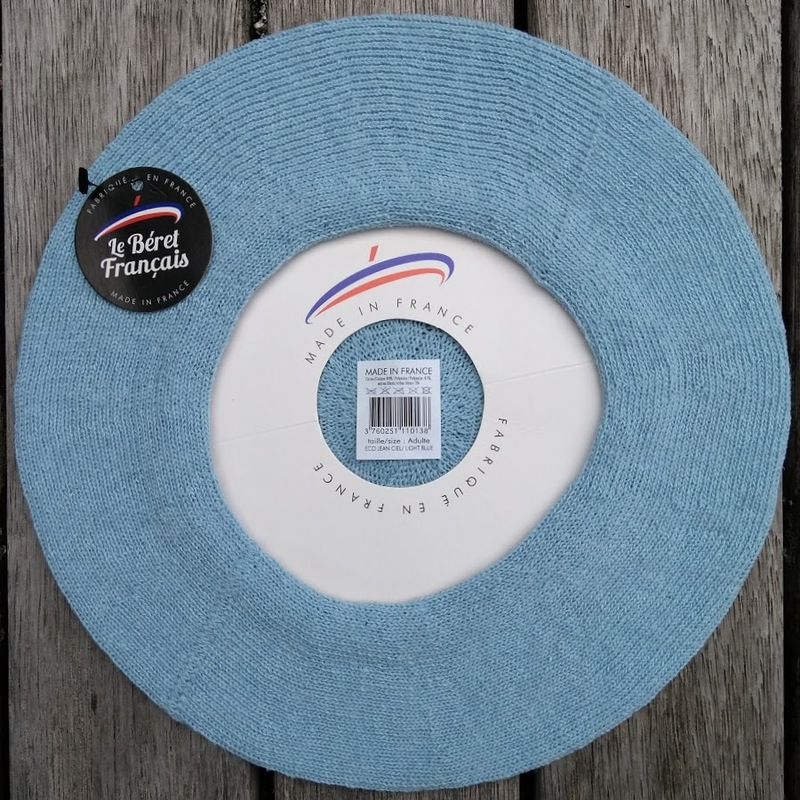 The Le Béret Français berets distinguish themselves by multicolored knitting; a complicated technical process that can only be done on their own specially developed machinery. 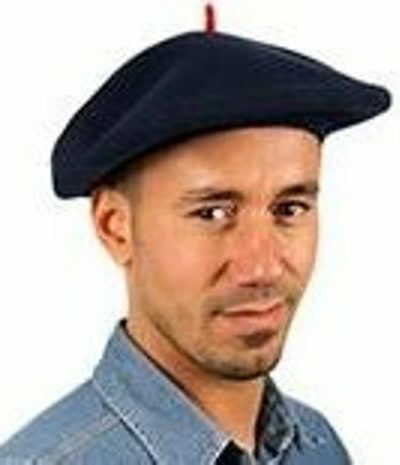 Berets in the tri-couleur of the French flag (or the British, US, Australian, NZ and many other countries for that matter) are absolutely unique. 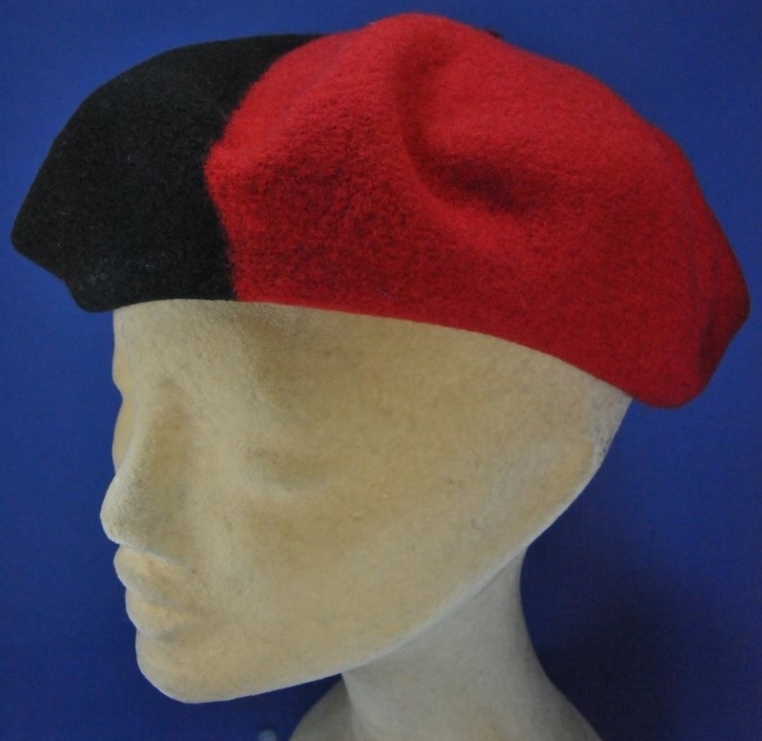 The same is valid for the berets made in the traditional colours of the Spanish anarchist movements of the 1930's. 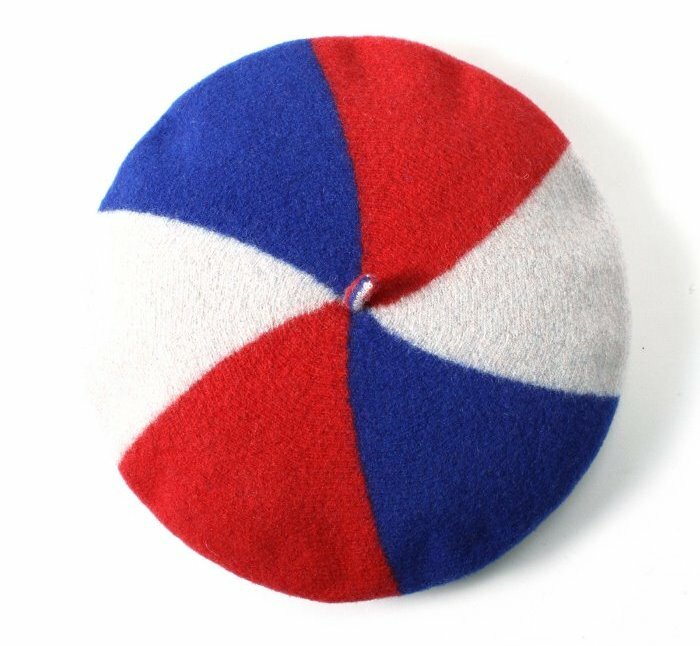 The upper end 'Mode' berets have a red cabillou (or 'txortena') in an otherwise strictly traditional headband-less, 80 grams, 28cm diameter lined beret. 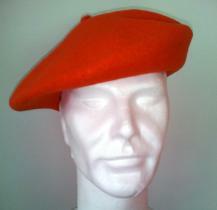 The red cabillou is Le Béret Français' unique symbol, Available in six different colours. 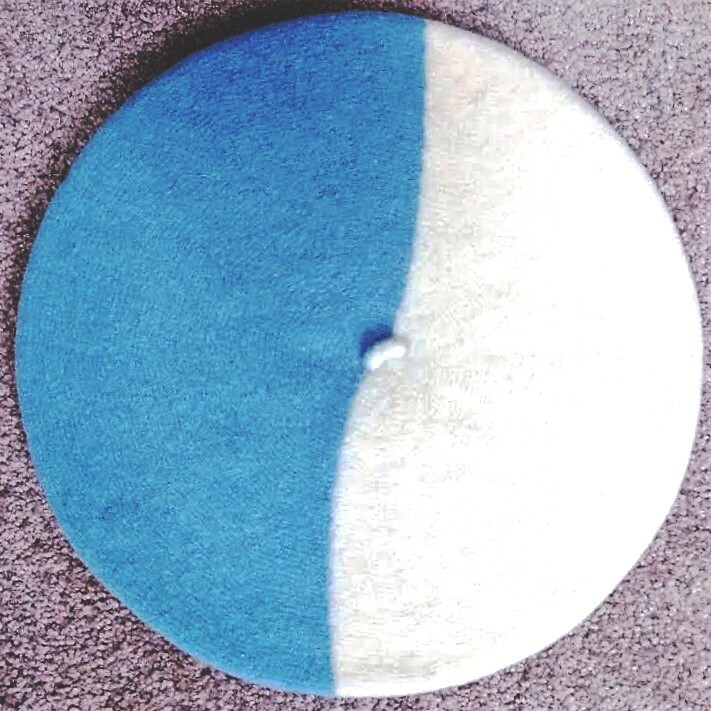 Being at the forefront of environmental production, Le Béret Français developed an Eco-beret, made completely of recycled materials: wool, synthetics, cotton and silk. 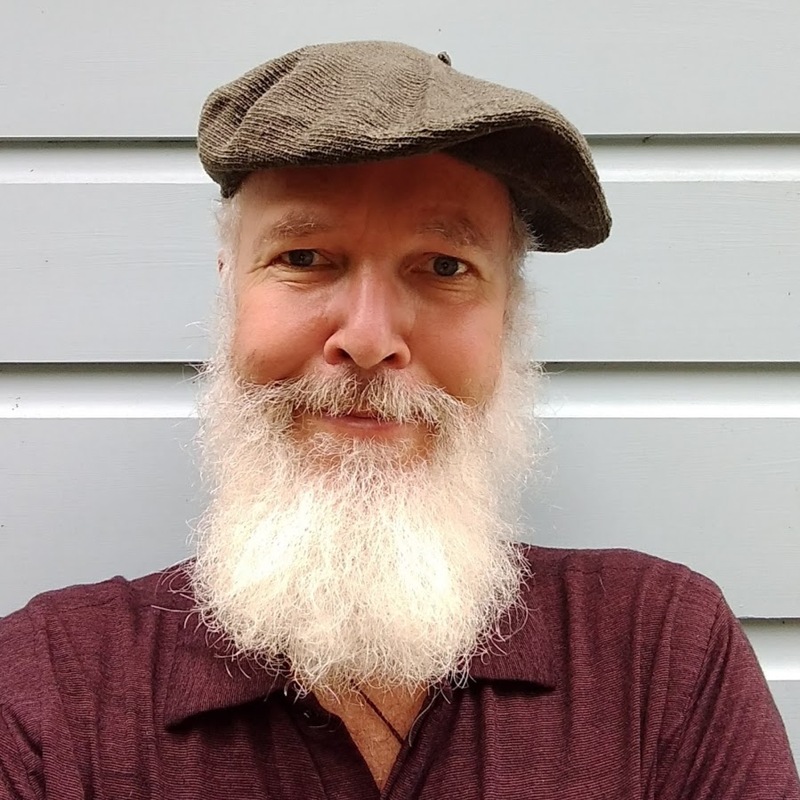 They call it Béret de Printemps, as these berets are perfect summer and warm weather wear; super light and extremely soft to the touch (thanks to a high silk content). 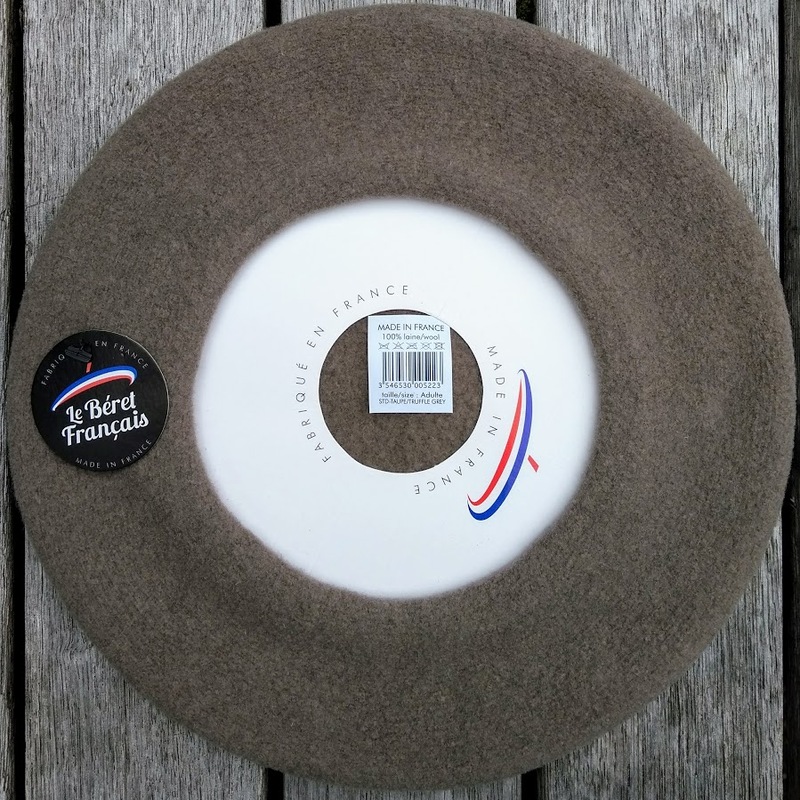 The Le Béret Français Classiques are LBF's standard berets; un-lined in 10 pouces (28 cm diameter), made of 100% French wool. 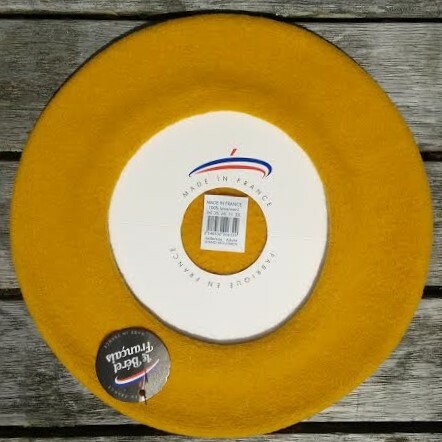 The Classique is available in a range of vibrant colours: French Khaki, Red, Mustard, Rose, African Violet and Truffle and only costs $ 33.50. 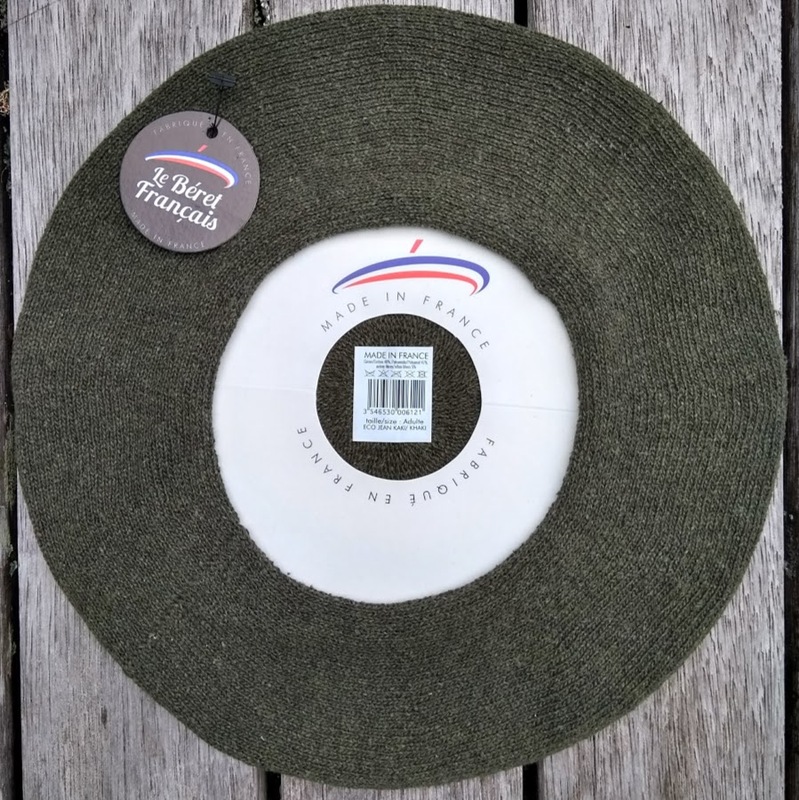 Innovative beret making is well alive in France, as shows with the new bi-colour berets by Le Béret Français. 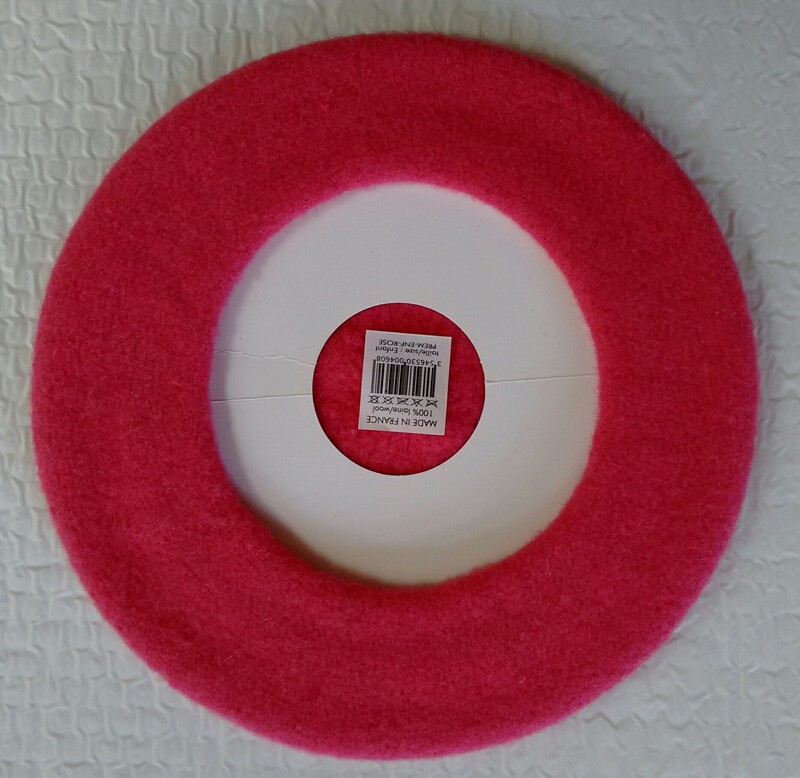 100% Pyreneen grown wool, unlined 28cm berets in 4 beautiful colour combinations @ $37.50. 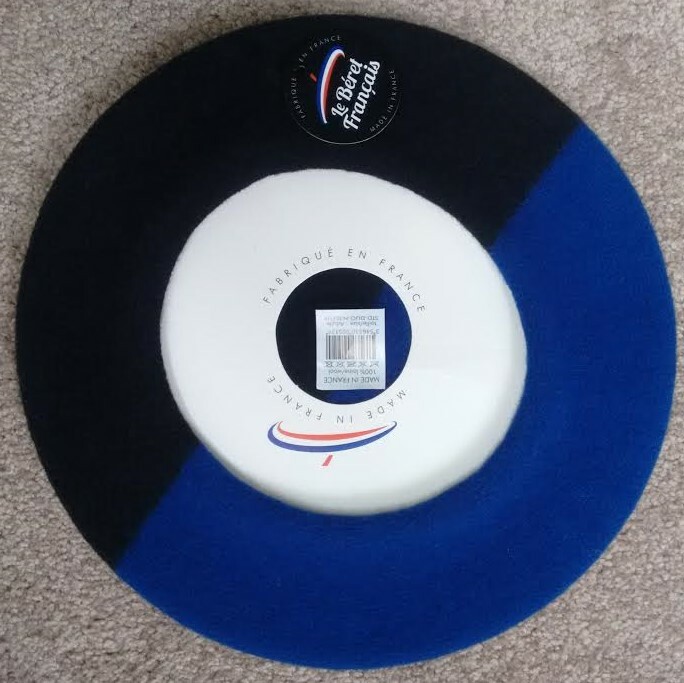 Berets showing the tri-couleur of the French flag (or the British, US, Australian, NZ and many other countries for that matter) are absolutely unique, in both the manufacturing process and appearance. 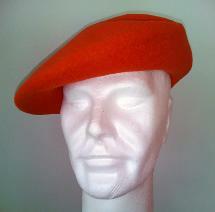 Beautiful berets with a festive touch! 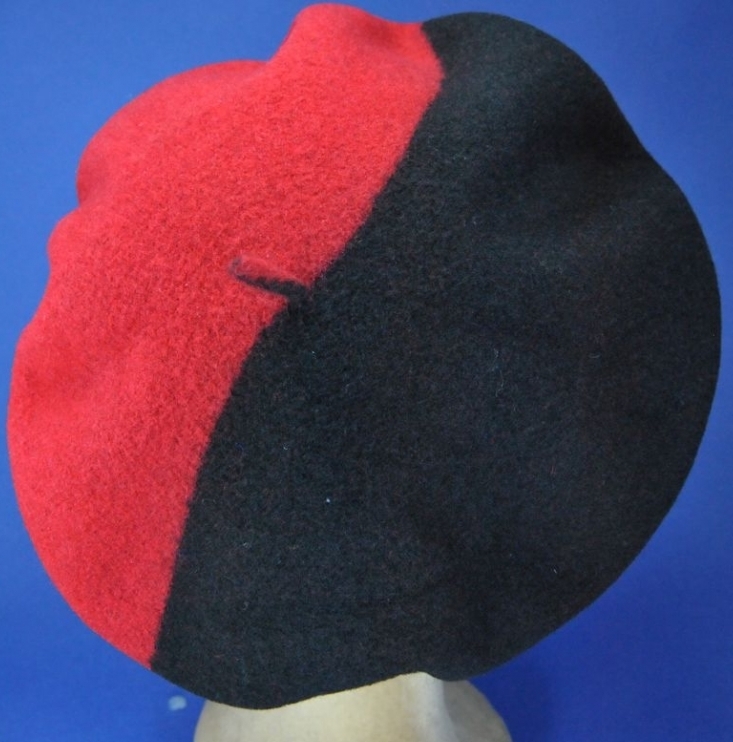 The Anarchiste is a beret made in the traditional Black and Scarlet Red of the Spanish anarchist movements of the 1930's. 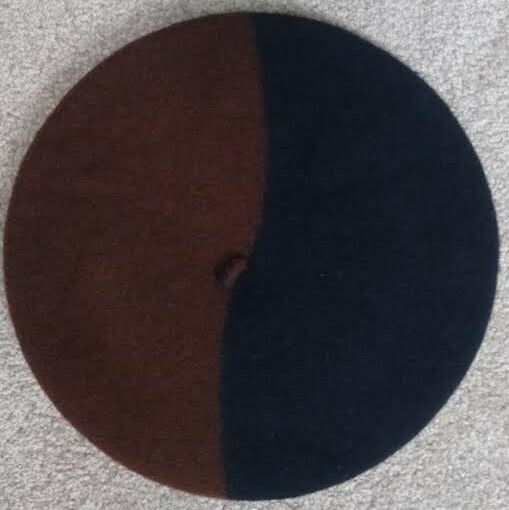 Easy to wear, un-lined, hand-made wool berets with a strong historical flavour. 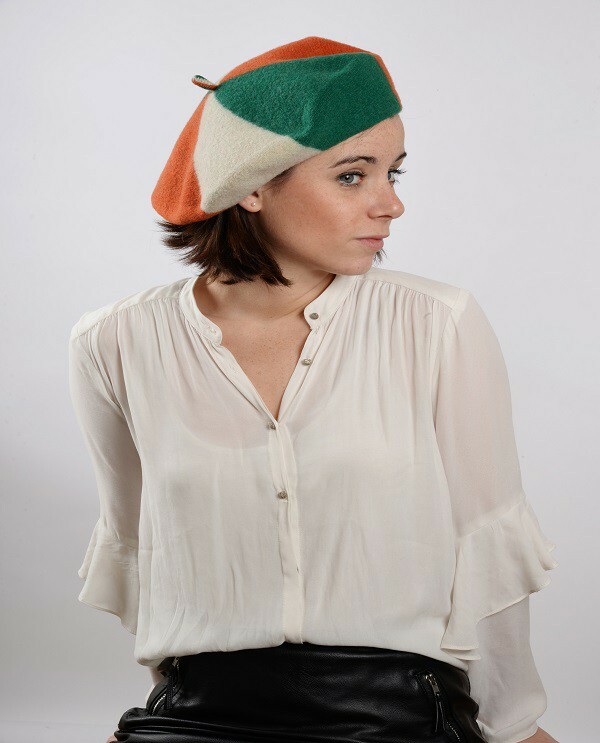 No tri-couleur or Patriot in red-white-blue for the Irish; they have their own three Irish colour beret. 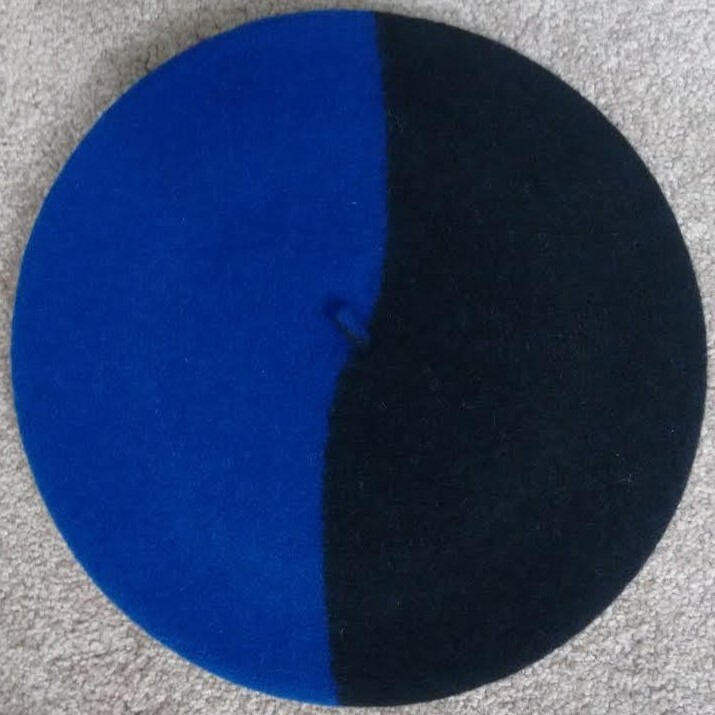 100% wool, of course; un-lined and hand-made berets. 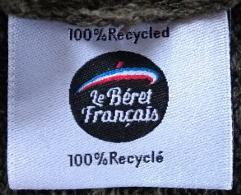 Le Béret Français developed these fantastic Eco-berets out of recycled materials: wool, synthetics, cotton and silk. 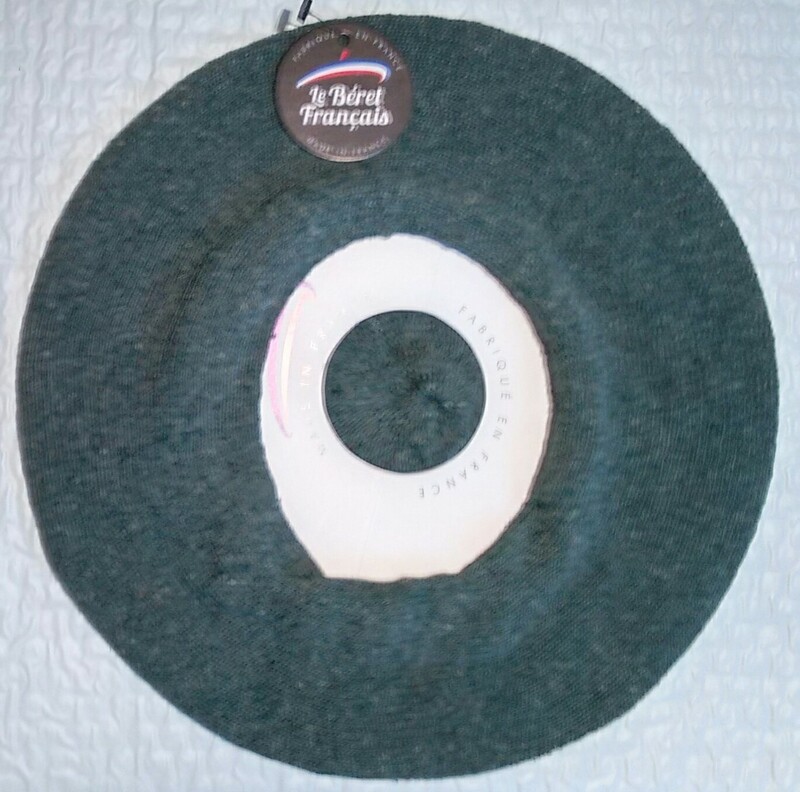 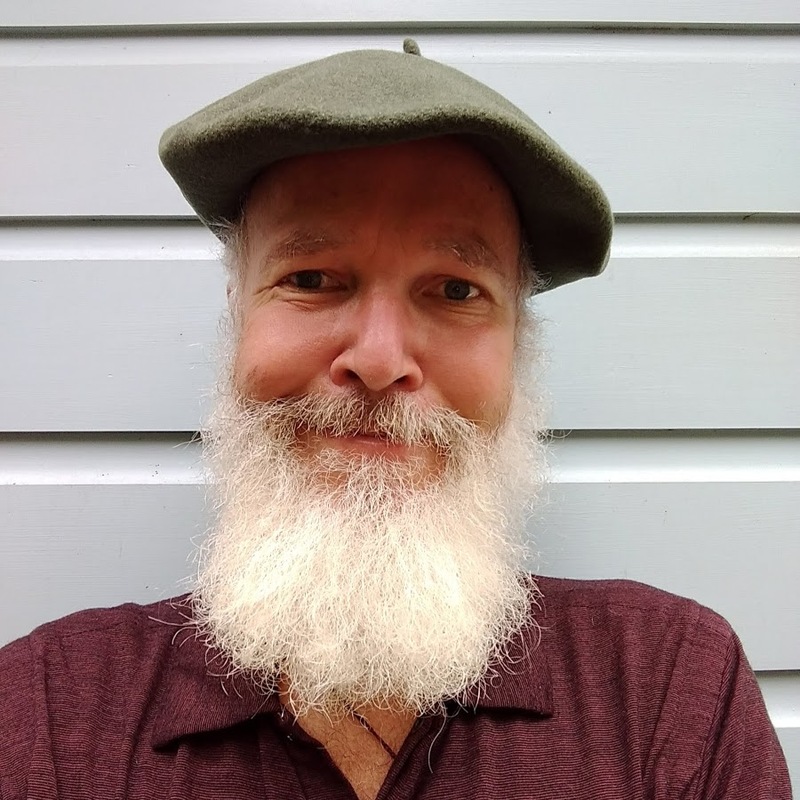 They named it the Béret de Printemps ("Spring Beret"), perfect summer and warm weather wear; super light and extremely soft to the touch (thanks to a high silk content). 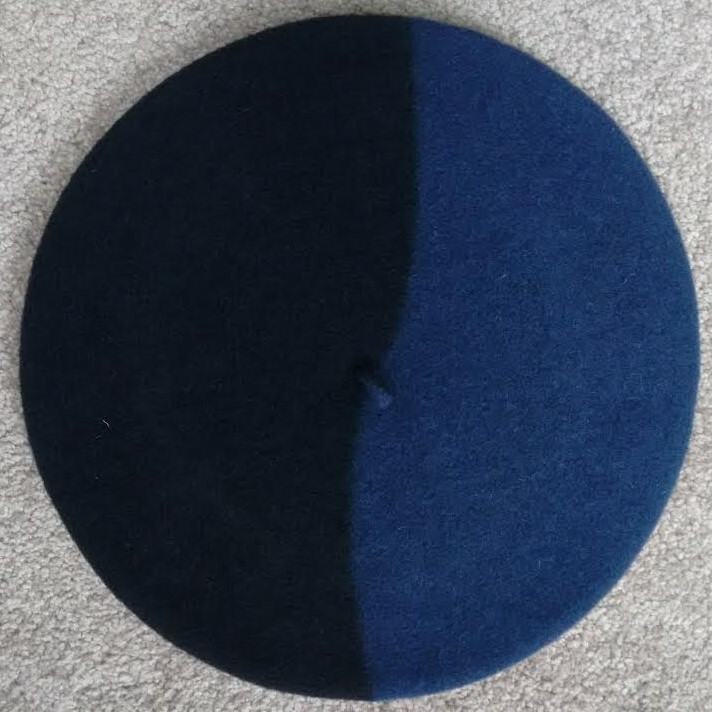 So light, you'd easily forget you're wearing a beret! 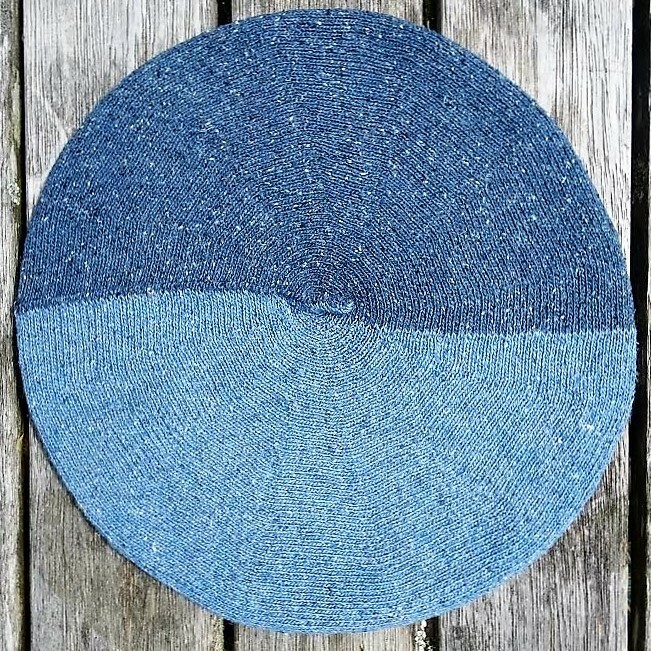 The Béret Eco-Jean is made of 100% recycled fibres; 48% cotton from recycled denim, 47% polyester from recycled drink bottles and 5% of a blend between these fibres. 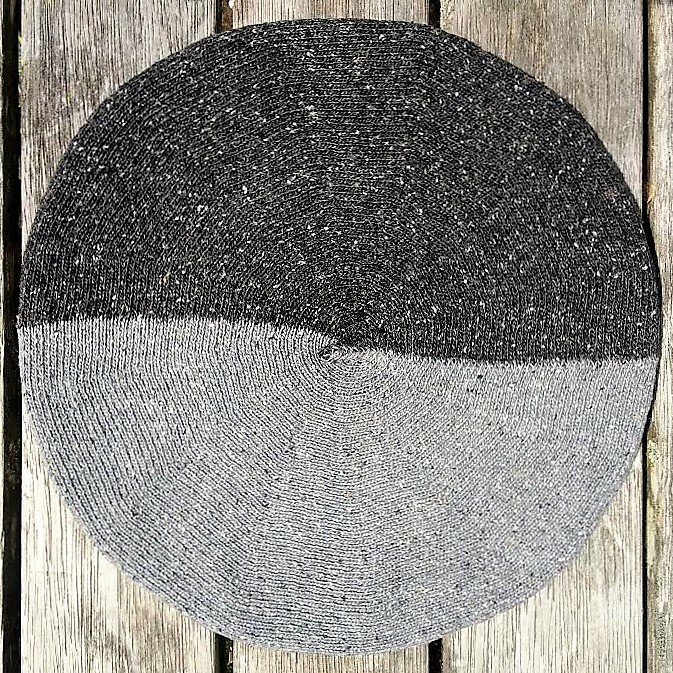 The recycled threads’ impact on the environment is on average 98% less than when using new raw materials (EVEA Conseil, ISO 14040/14044). 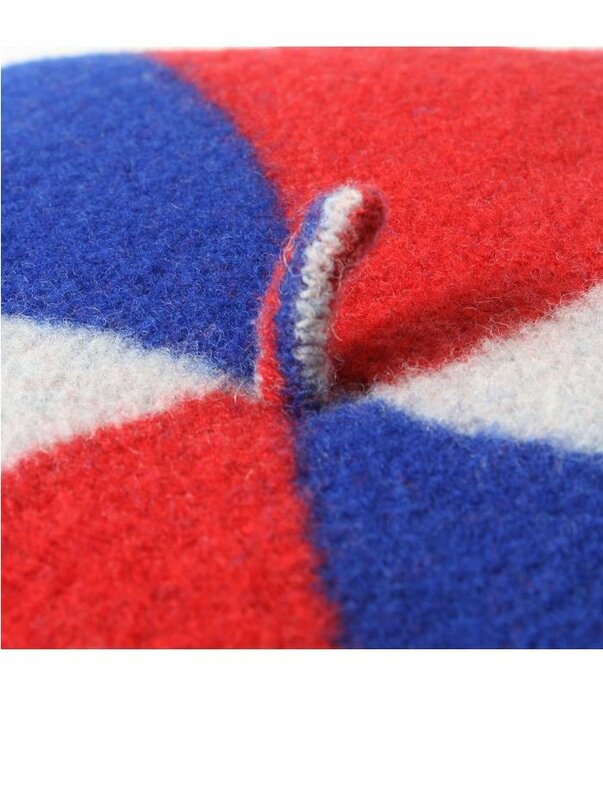 Already subjected to harsh conditions in their previous lives, these fibres are more resistant to stress and friction than new threads. 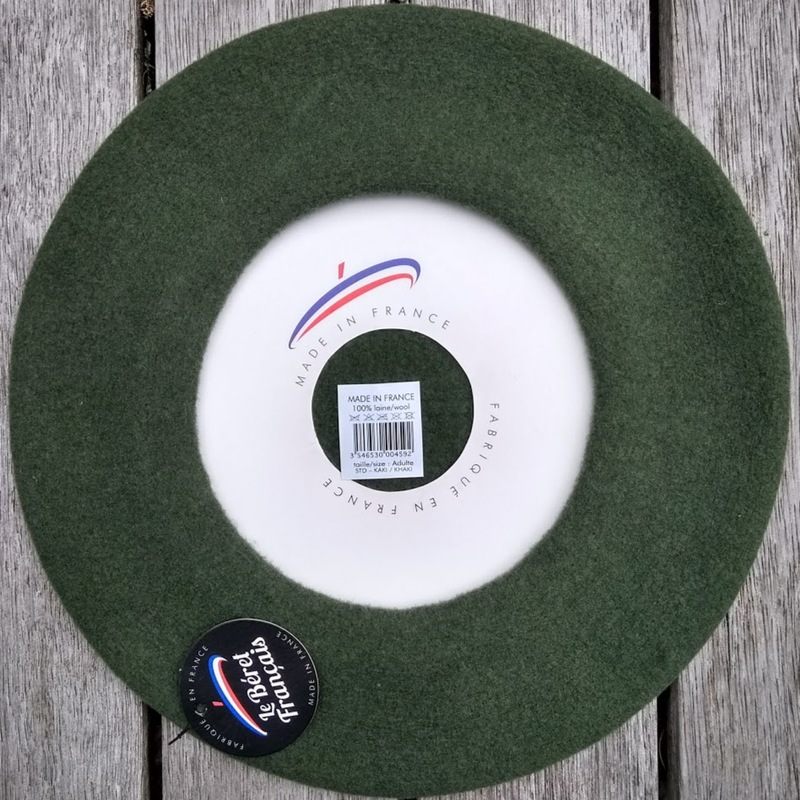 Le Béret Français is proud to present the first and only ecological berets from recycled fibers, a patented process by the company’s spinner. 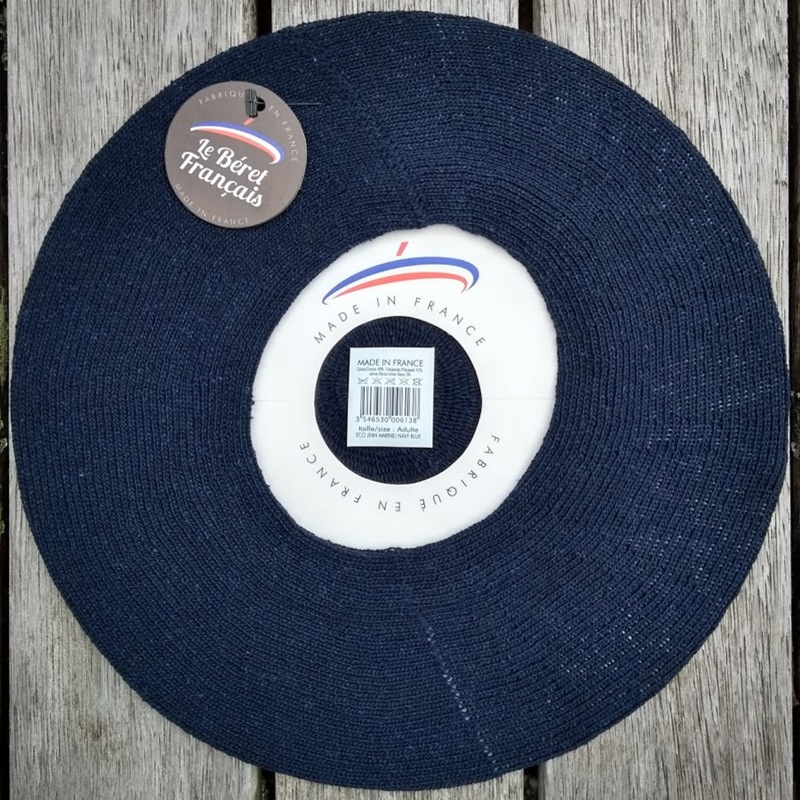 The Bérets Eco-Jean are available in black, navy, light-blue and French-khaki; all one-size models in a diameter of 10 pouces/28cm. 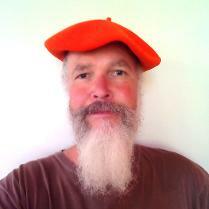 Great summer berets @ $34.50. 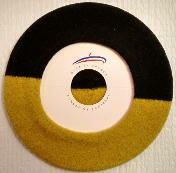 Béret Rugby in the colours of French Union Rugby Club Atlantique Stade Rochelais. 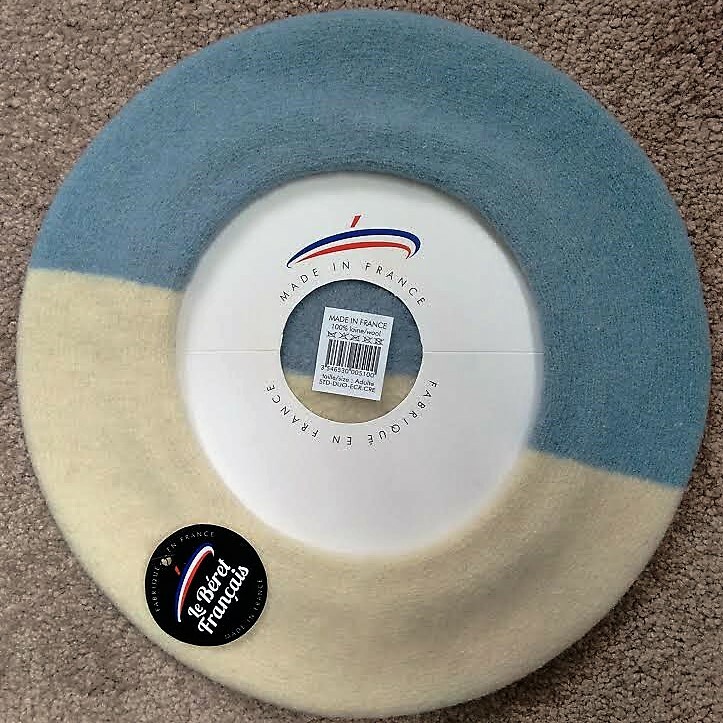 100% French at a 'Chinese price' of $29.50.